Thi month’s Salty Contributor (and our 2nd ever!) is Alexandra Rae. She is a salt sister with a passion for creativity and travel. 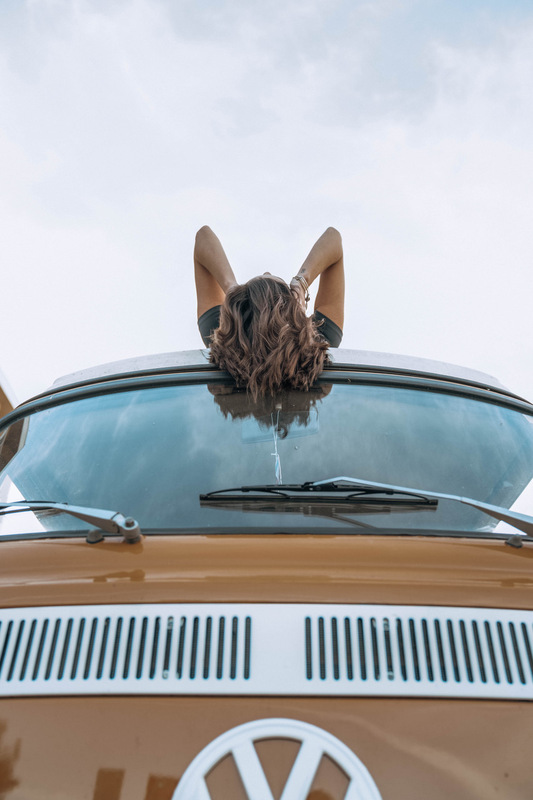 Road tripping down Florida and living in her vintage WV combi, Alex is working on her writing and photography while exploring what it means to be a creative in a time where the pressure for “perfection” seems to be the name of the game. I have a confession to make: I have this bad habit that often holds me back from expressing myself creatively. You may even be able to relate if you too, consider yourself a creative person… . I confess I often allow a self imposed expectation to produce “perfect” work to prevent me from producing anything at all. It’s something I’ve been working hard to overcome during the past year, and feel that I've made progress as I look back on my successes and failures with kinder eyes. The most difficult thing I’ve struggled with is just going for it! And wow… it sounds so incredibly simple when I say it out loud. It’s only when I start over analysing that things begin to get complicated, and I find I'm constantly reminding myself to just start! Do something! Stop waiting for the “perfect moment” or until all the details are worked out in my head. How many things I worked on over the years and abandoned would be amazing by now if I’d just stuck with it? As I’ve gained a little wisdom throughout my years, I’ve begun to notice that behind most “geniuses” is actually a journey of someone’s hard work, dedication and patience. It wasn’t necessarily perfection and ease from the start. Who would've thought! I feel this “over analytic creativity” (definitely just made that up, but let’s roll with it) stems from a love of always noticing beauty in the world around me and appreciating the details. I’ve been hearing quite a lot lately that we shouldn’t compare ourselves to others. I believe it needs to be said as much as possible. We all need daily reminders, mantras and habits to keep the fears and doubts at bay. Comparing ourselves to other’s career, personal life or creative journey only holds us back from reaching our own potential. The people we admire have struggled, have dealt with failures, rejections, they put in the work and pushed through the crap days. They did NOT just wake up one day, have it all figured out and end up exactly where they are today. It’s important to remember that ALL of our journeys are unique and worthy of the time and care it takes to cultivate and grow. My current commitment to myself is very simple; push through the doubt and just keep creating. Create for myself and create for the love it. To use what I’ve got instead of keeping up with what others may have or be doing. To see where things may lead without always thinking of the end goal or desire. To not overanalyse myself and looks for flaws, but to just have fun with it! I’m committed to growing creatively, being a dreamer AND a doer. No Shoes No Worries in the latest Surf Girl Mag!